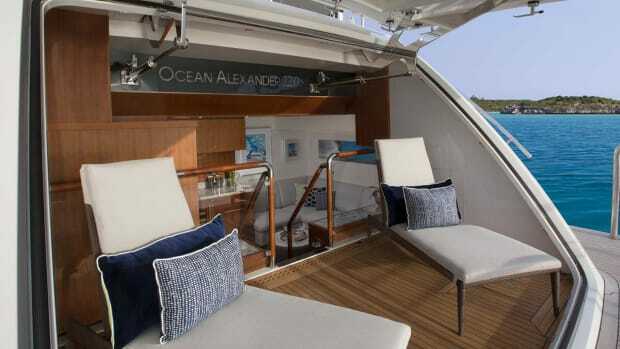 The Ocean Alexander 70e is a classic bluewater cruiser with lovely modern touches. 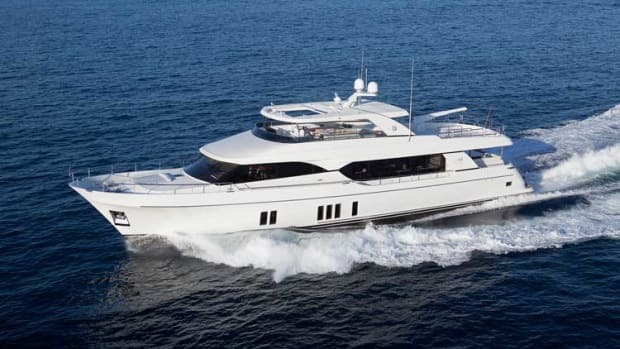 The Ocean Alexander 70e plays to current trends while maintaining the characteristics for which the builder is known—making her a true evolution, which is what the “e” in her model name means. 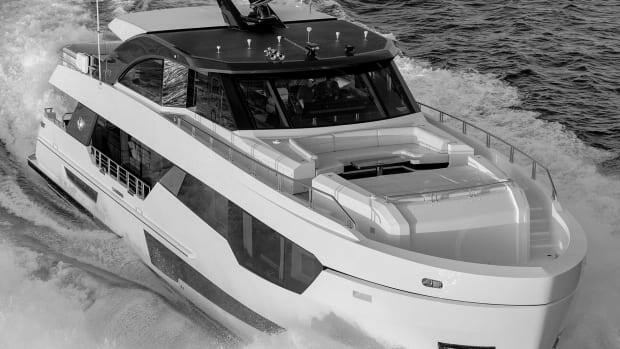 With this yacht, designer Evan K. Marshall updated and refreshed the OA concept without losing its classic look and notched sheer. 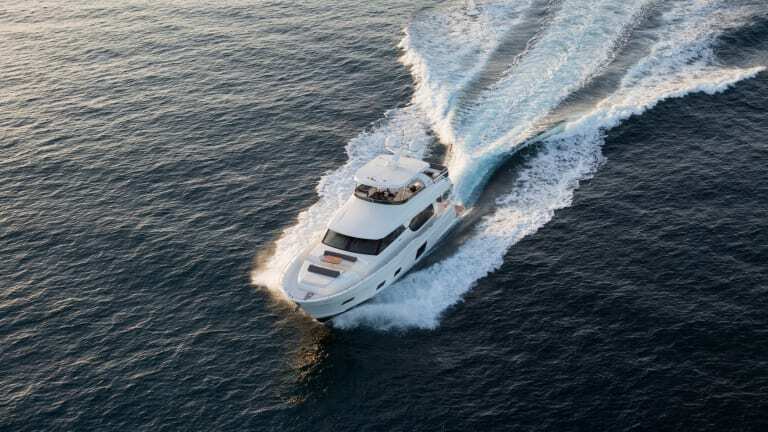 This four-stateroom yacht is also evolutionary for being the first OA with Volvo Penta IPS pod drives, and the first OA built in the United States, at Merritt Island, Florida. 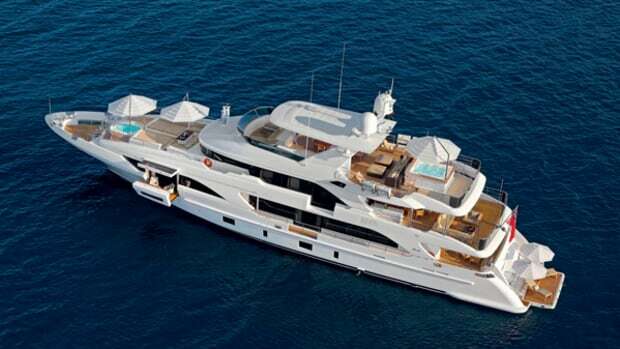 Yachts of this size are for family adventures, and the open salon is designed to fit everyone comfortably. It has an unbroken view from the cockpit to the pilothouse windows, making the space feel even larger. The galley is amidships, with an island to separate it from the traffic flow, and the chef can converse with the skipper or with anyone on the couches aft. 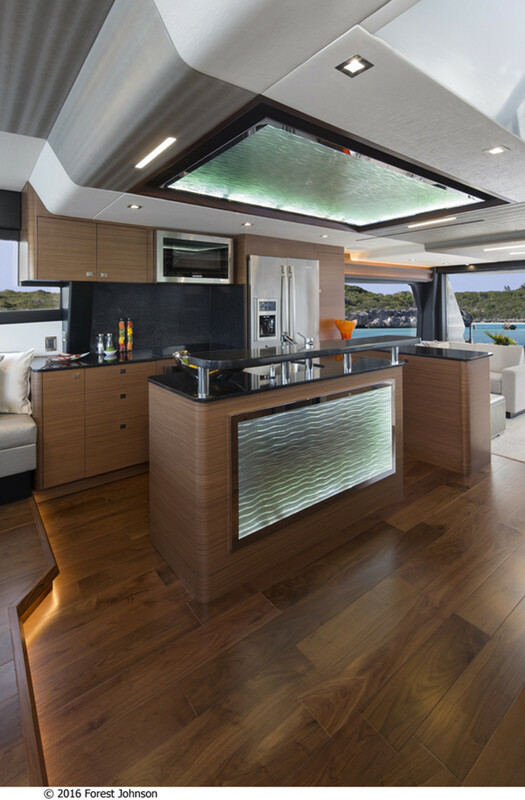 The galley is fitted with Jenn-Air appliances (including a wine chiller), and the 70e is delivered with everything from steak knives to cookware to glasses. For dining, the 70e has an afterdeck settee with a table, a dinette next to the lower helm, and an alfresco settee on the bridge. 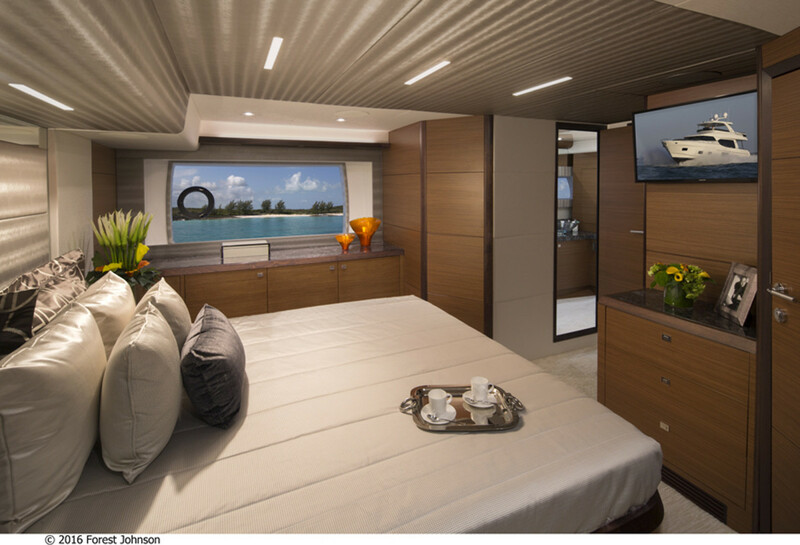 Owners can arrange the master stateroom with bureaus under the windows, or with a couch, a desk or chairs. There’s a cedar-lined walk-in closet, and the ensuite head has stone counters, twin glass sinks and an OA “crystal shower” stall with a seat and custom door. 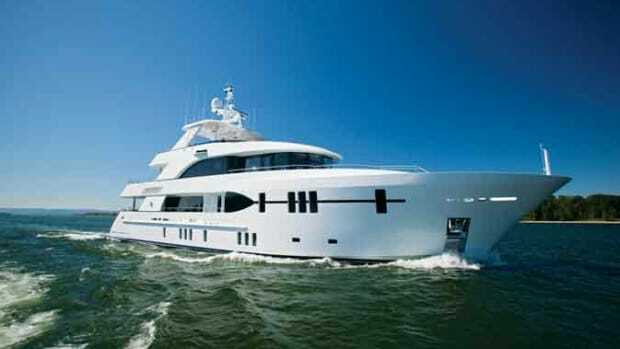 The VIP is forward, also an ensuite, while two staterooms are off the central companionway near a hidden washer/dryer. One stateroom, with twin berths, has direct access to the day head and shower, while the other has bunks for kids. It’s a great layout for a family or two couples with children, and the crew cabin aft would work equally well for a deckhand or a teenager. 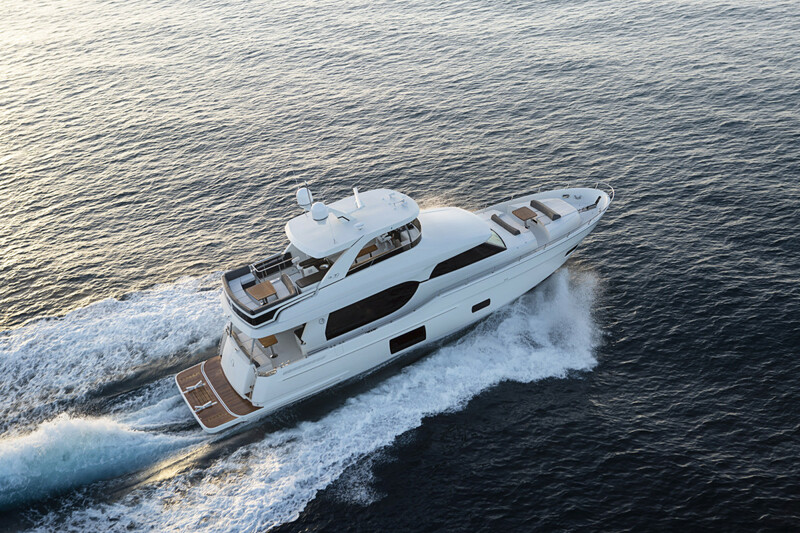 The 70e is offered in tender-up and tender-down versions. Tender down adds a hydraulic teak stern platform that can carry a larger tender (which launches by lowering the platform). 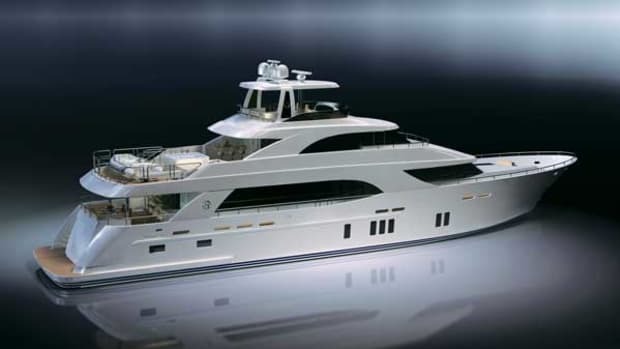 The tender-up version adds a crane to the flybridge and chocks for the tender aft on that deck. Tender up makes launching more complicated and usurps considerable deck space, but protects the tender offshore. 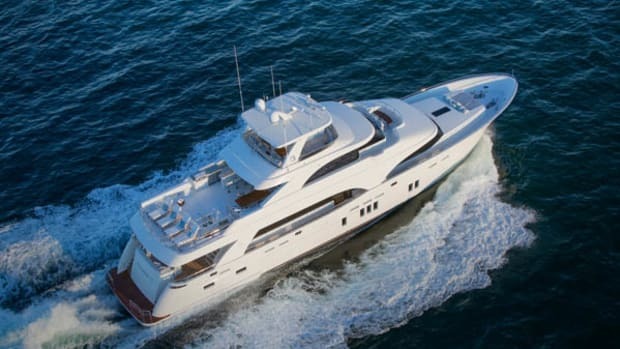 Flybridge access is via two stairwells: one from the cockpit and one from the pilothouse, providing all-weather protection. On this deck are the aforementioned dinette and a console opposite with an Electri-Chef barbecue plus a bar, fridge and ice maker, all shaded beneath a cantilevered fiberglass hardtop. On the tender-down model, a wraparound seating-sunning-dining installation is aft, or the space can be left open for chaises. 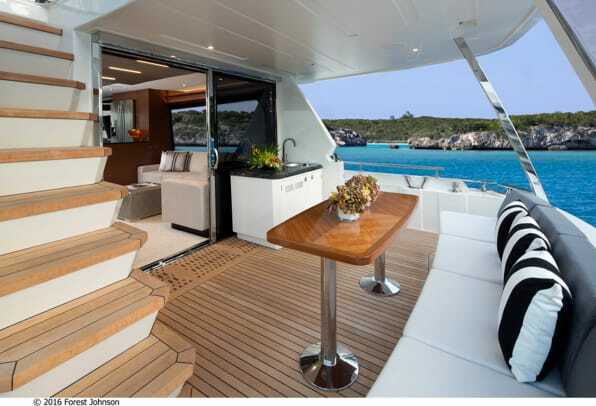 The foredeck is another entertainment area with a table, couch and sunpads. Access to systems and maintenance points is good in the engine room, which holds the twin 1,350-horsepower Volvo Penta pod-drives along with twin (standard) 20kW Northern Lights gensets for redundancy. As with all Ocean Alexanders, construction is strong for bluewater cruising. The builder uses full infusion with vinylester resins and marine-grade structural foam in hulls and stringers, a reinforced collision bulkhead, and exterior Alexseal polyurethane finishes. 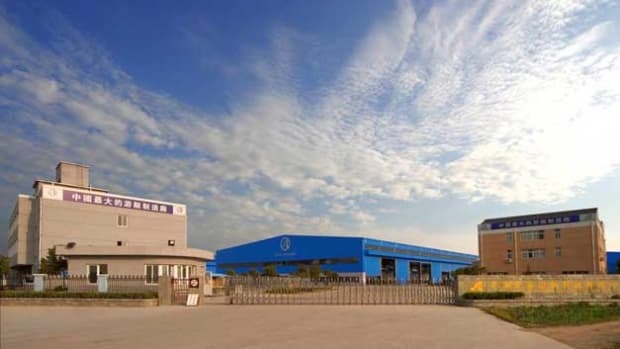 Insulation barriers, dampening materials and acoustic isolation dampen noise and vibration. 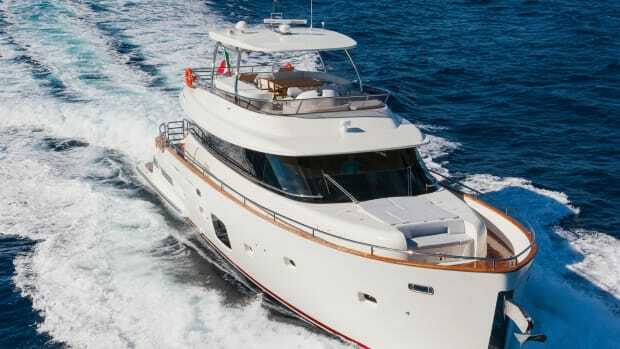 The 70e is ready for adventure, and is a delightful step forward for Ocean Alexander.